Investment castings are used to make a wide range of products, from industrial products and commercial products to consumer products. The investment casting process is used to create products which have a complex profile and are in a comparatively limited quantity. Because of this investment casting can be a bit more expensive than other processes of metal forming. On the other hand, investment casting yields a product that is of higher quality and only requires minimal surface finishing. 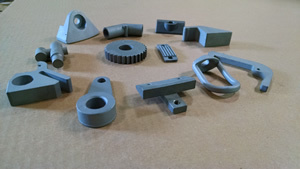 Due to the nature of the process, investment casting produces a product with tight tolerances. The process is a meticulous one, but this allows for the finished product to be highly accurate compared to other metal forming processes. The process starts with a wax pattern designed by an engineer that is in the shape of the final product. Once this wax pattern is complete it is covered in layers of ceramic material that are left to harden. Once this material hardens, the wax is melted down and discarded. Then comes the investment of the desired metal, metals such as aluminum, steel, stainless steel, copper, brass, nickel, and others are invested into the ceramic molding. The molten metal is allowed to take the shape of the molding where it is then left to cool and harden. Once the metal has hardened the ceramic shell is removed in a number of different ways. One common procedure is to vibrate the product until the shell crumbles away. This process is time consuming and is often only used for small scale products due to the cost. 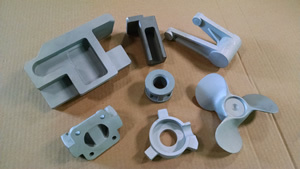 However, as stated earlier the investment casting process produces a much higher quality product that are precise and accurate to the customers specifications.